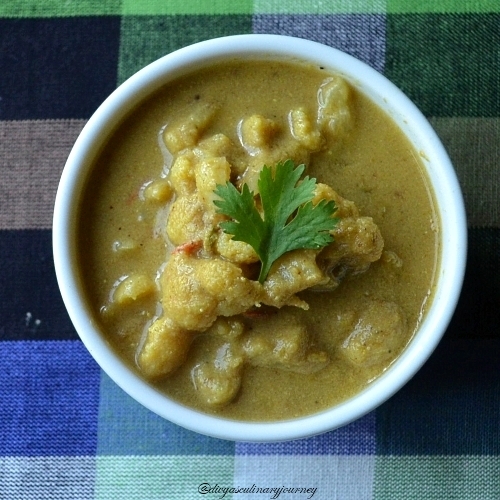 Today's recipe is Cauliflower Kurma. 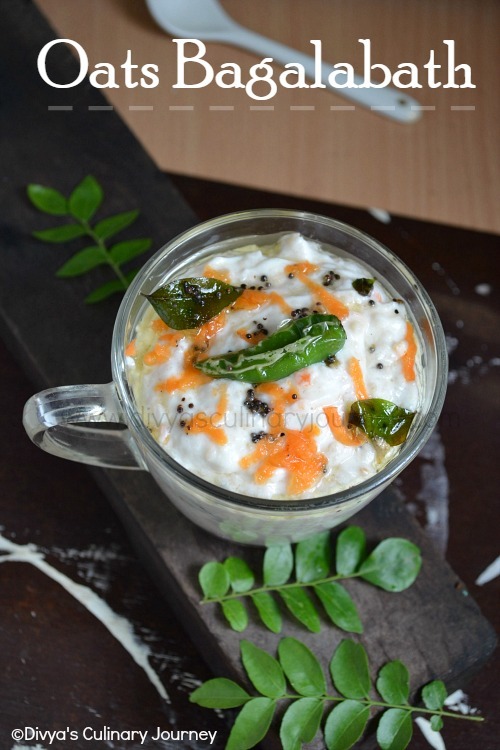 It is prepared in Chettinad style and it can be served as a side dish to chappathi. Chop cauliflower into small florets and cook them for about 3-4 minutes till they are half done. Grind together the ingredients listed under to grind together. Heat the oil in the skillet, add fennel seeds, once they sputter add chopped tomatoes and cook till they turn mushy. Then add turmeric powder, ground paste and cook till the raw smell is gone. Then add cauliflower, mix well. Add water to get the desired consistency, add required salt and let it simmer for 5-6 minutes. Turn off the heat, garnish with cilantro. Ready to be served with chappathi. Delicious Kurma..would love it with puris too. Super tempting Kuruma..I especially love the flavor of cauliflower..
Kurma looks inviting and flavourful, Divya. Yum! I do not use too much of poppy seeds. But the gravy with it as an ingredient is really tasty. 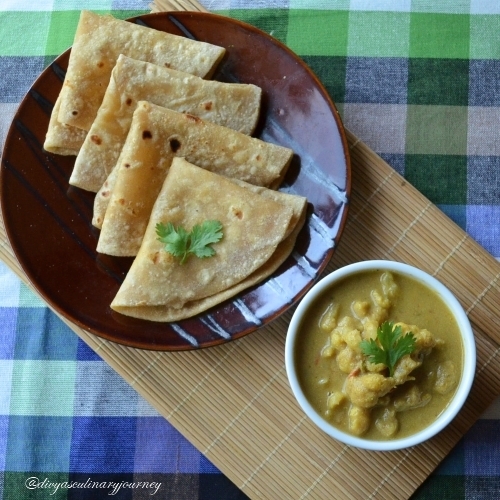 Rich looking super flavourful kurma, excellent pair for rotis. 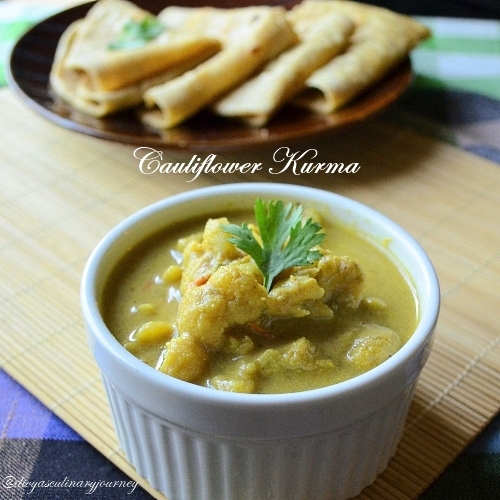 Cauliflower kurma looks yumm. Love to try your version. Mmmmm...yum! I love cauliflower and this looks like a delicious way to enjoy it! Delicious and goes well with roti. Looking at the list of ingredients I can almost smell the delicious kurma... bookmarked... have to try this. Wow Divya this has come out so well, I love the curry colour! Am sure goes well with rotis and rice! More than the curry, the chapati looks super soft. Nice clicks. Lovely presentation and kurma sounds yum!